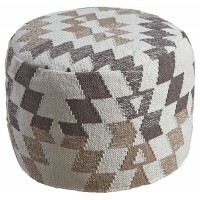 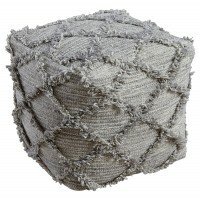 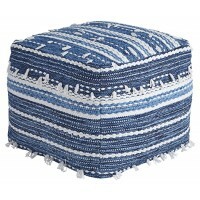 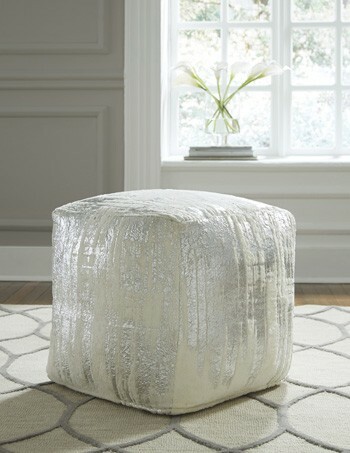 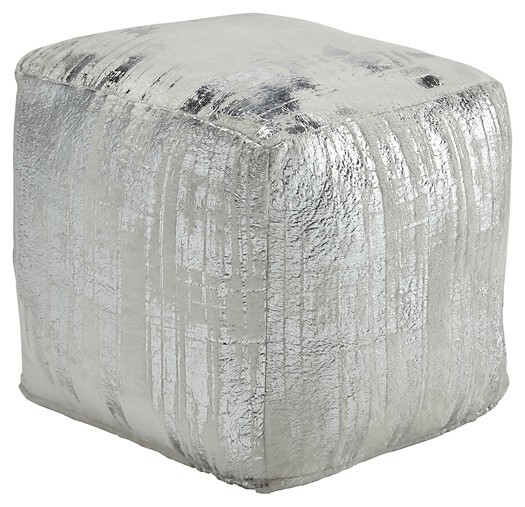 Who said a pouf couldn’t be upscale? 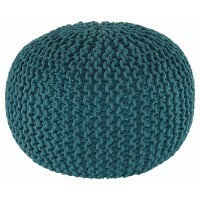 This pouf fits the bill. 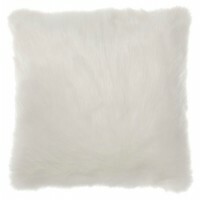 Silvertone silkscreen finish glams up the ivory faux fur cover. 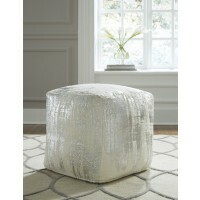 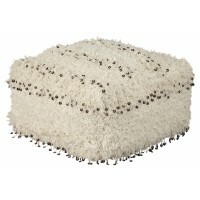 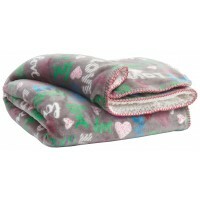 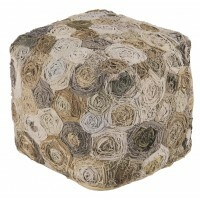 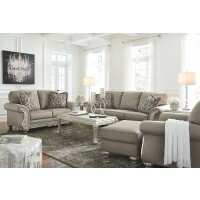 Dense filling helps hold its shape, keeping your room in style.